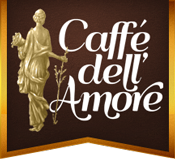 Give a Caffè dell’Amore restaurant gift card and share the love. Makes a great gift for family and friends! Caffè dell’Amore has received numerous awards for fine Italian Cuisine in Naples, Florida. Join our newsletter and receive valuable special offers, news, announcements! Ranked #1 Italian Restaurant on Tripadvisor! Remember that wonderful vacation you took to Italy with your beloved awhile back? You strolled through the streets taking in the sites, the art, the culture, and the joy of living around you. You stopped to eat in one of the many wonderful trattoria, intimate and romantic, savoring the best Italian food, drinking great wine, talking with loved ones and just enjoying life. 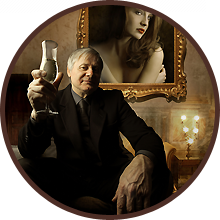 Caffe dell’Amore allows you to recreate that experience. Our Italian restaurant in Naples, Florida, serves authentic meals made with generations-old recipes passed down from chef to chef. We cook with love and passion, offering you a taste of Italy while you enjoy the company of loves ones in an intimate setting. Inspired by the great Italian tradition of quality at the table and in the glass, we are dedicated to seeking out the best ingredients for our dishes. We hand select locally grown, organic produce; use free range meats and wild catch seafood; and import from Italy authentic ingredients to create soul-satisfying dishes. All of these details unite to create a truly unique dining experience: elegant yet relaxed, exciting the palate and soothing the soul. “Delicious food and desserts” Beautiful surroundings and one of the cleanest restaurants I have ever seen! Review from google plus. “Perfect choice!” Gracious and warm welcome on arrival by Dominick, one of the owners so we were off to a great start before we were even seated! Attentive and professional service throughout. As we really enjoy and appreciate quaint, charming. “The best, most authentic Italian food outside of Italy!! ” The chef/owners are meticulous about quality ingredients, beautiful presentation, outstanding service, and giving the customer a dining experience to remember. This is not your typical Italian restaurant with oversauced pasta.